One Direction is in Manila for their concert at MOA Concert Grounds. Check out the live stream links, videos, and photos provided by 1D fans. Four members of the British boy band—Niall Horan, Liam Payne and Harry Styles, and Louis Tomlinson—arrived Saturday afternoon. Even without band member Zayn Malik, who wasn't able to come after being "signed off with stress" and an apparent love quarrel with his fiancee, their fans flocked to the venue. Before the show, which started past 7:30 p.m., One Direction fans were treated with a fireworks display. Food stalls were all over the place. A wi-fi internet access, which was made available for free by Smart Communications, enabled the concert goers to post updates, videos, photos and live streaming links via social media. The hashtag #NOCHILLPHILIPPINES became a top trending topic on Twitter while the show was going on. Bookmark and refresh this page every now and then to get updates from the One Direction live in Manila 2015 concert. 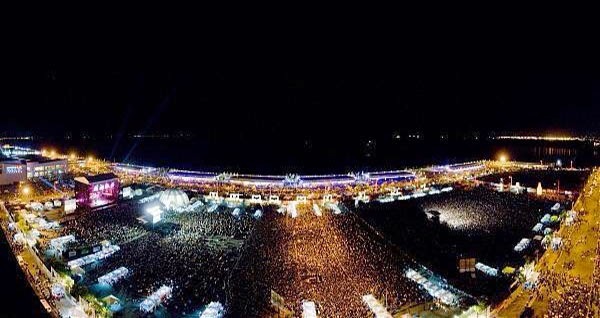 "@izaynielove: ITS HAPPENING ITS HAPPENING I WANNA BE THERE RIGHT NOW #NOCHILLPHILIPPINES pic.twitter.com/6y4pPMMFFf"
"@KingOfHighNotes: BUT THIS IS INCREDIBLE #OTRATourManila pic.twitter.com/ofHi8sPHrX"